Employers don’t pay for experience. They pay for results. Sometimes, it’s up to the job applicant to explain how they can deliver results. If you want more, be ready to show how you will produce more. Of course, that’s assuming the employer is not just trying to take advantage of you. Results do not fall from the sky…usually. They are direct related to tenure, experience. The problem here is that the great majority of headhunters and recruiters have absolutely no idea what they are doing. And this is a fact. As far as the $1000 issue – that person needs to wake up! I suggest the meta analysis done by Frank Schmidt and John Hunter. Simply going on the “years of experience” is a poor indicator of “success.” What’s more important is the kind of work you were doing. In other words, do you have 3 years of experience or 1 year of experience repeated 3 times. If I was the employer, and someone was obsessing over $1000, I would be, seriously, having a good look at who my second choice was. This is a piddling amount of money and shows someone who isn’t very flexible. Take your bonus, work your backside off and show them you are worth more money when it comes to review time. I am in total agreement with Nick and Margaret. As an aside, I surely hope the job hunter approached Nick for a consultation. Who can wait for a response to be published? @ Margaret: Agree. This is less than $100/month before taxes, etc. Really? Must have a lot of time on your hands, OP. RE: The $1,000. I never did get a response to explain that. With a $50K signing bonus? Poster child for greedy here. LW, your potential new employer handed your a gift. You can use your machine learning skills to show how valuable you are (making money for the firm), and you have a skill to improve on, in time for your first review. Maybe your letter was cut for brevity, but it is unclear how you determined the $1K shortage. Could your numbers be off, or were you offered benefits that make up the difference (vacation, training)? It obviously bothered you enough to write to Nick. Hope your offer is still available. Agree with Nick’s response and advise. If you are still itching to negotiate, which some cultures do, consider asking for non-monetary perks like flex-time off or paid continuing education. That way you are preserving the offer and satisfying your desire for more. If you’re on the low end of the pay scale (< $30K, for example), then $1000 would be a big deal. If, however, you're at the opposite end (well above the median), then $1000 over a year is pretty much pocket change, and quibbling over that is petty. He doesn’t sound greedy. He sounds like he’s tripping over his ego. In light of “about a 50K” sign up bonus, 1K isn’t worth a mention. I concur with Margaret, if you raised that as an issue I’d worry about your common sense an attribute I’d want my managers to get back. Further tells on ego is no mention of liking the job, loving the job, the organization. No mention of growth potential….it there’s any at all, the 1K delta will be restore and then some. But some people take every dollar as a challenge. I thought about whether to even use this question, and decided there were some other useful tips I could include in my answer that might be helpful to the OP and others, regardless of the size of the desired increase. It’s size suggests the person is a heavy hitter in the high six figures, which makes 1K angst foolish at best. 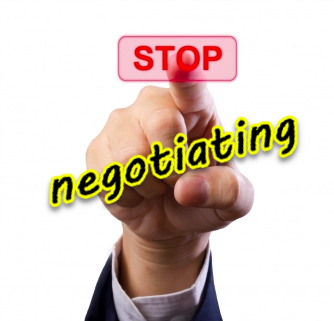 the person needs to learn a negotiating basic…pick your battles. I’m in the high 5 figures and I wouldn’t let 1000 stop me from taking the job – and I certainly didn’t get a gigantic signing bonus. Without more context it sounds dumb. When I saw those numbers, I honestly thought there was a typo in the question. And I immediately thought “put that $50k in an online savings account paying at least 2% and you’ll have your $1000 every year”, so I was glad to see Nick make the same point. And, IMHO, that’s true whether the job is paying $30k or $300k, because it’s still only $1000 difference! The only reason I can think this is anything but foolish or greedy is, as others mentioned above, is if there’s some reason the writer *must* spend a chunk of the bonus up front – like relocating. But if that was the case, wouldn’t they have called it “relocation expenses” instead of a “signing bonus”? Something about this smells suspicious. Assuming it’s a job you want, and a team you want to play on, you probably also want to accept the offer. As others have already pointed out, that “missing” thousand dollars is easily amortized by interest alone from the signing bonus and probably represents one-half percent of the offer. Hurt that they dinged you for a weak showing on the whiteboard? By signing on, you will have the opportunity to demonstrate that maybe strong whiteboard skills aren’t really that important for this type of work. Quibbling over $1K of salary when you’re getting a $50K sign on bonus? Really now? You can stash that bonus somewhere make up your $1K or at least a percentage of it, without doing much of anything. Why does the OP want to die on this hill? If there is something wrong with this job/employer, it sounds like it isn’t the money. Either the writer mistyped a zero, or he’s the zero. I think many on this board would consider a $10,000 delta worthwhile to think about negotiating. However, with a $50k signing bonus, it still may not be worth losing the war. I suspect the asker meant $1000 monthly. Then the concern does make sense. Still, I agree 5 years of payoff is a long run to worry about, considrring how often people swicth jobs today. Could the $1,000 be monthly – so $12,000 pa – the only reason quibbling would make any sense in my mind? @Gerard: It could indeed be monthly, but I don’t recall the last time someone expressed to me a professional-level salary or job offer as a monthly number. I wonder if there’s some psychological stuff going on here. If someone offers you a $99,000/year job, that’s great! Lots of money! If someone offers you a $100,000 year job, whoa! Six figures! Another digit! Looks a lot bigger, right? Yes, this actually works. It’s why things are priced at $1.99 and not $2.00. It’s why people think, hey, I made $100 on the lottery ticket. No, you made $99 because it cost you a dollar. I don’t think the writer should argue over $1,000 when there’s a $50k sign on in play, but I wonder if the employer is inadvertently putting bumps in the road by offering something with a 39, 49, 59, etc. in there that could look much better for pennies on the dollar. Likewise, the writer should ask if it’s something like this that’s causing concern. If so, get over it. @Nick: The option to be notified once posting a comment does not appear. Do you know why? I really appreciate the option to receive other comments when they are posted. Thanks. @Marilyn: You’re only the second person to ask about this. I had to turn off that feature because the software that drives it is from a third party. It no longer works properly because the author has not updated it. The next best such tool has the exact same problem. I’m still looking for a replacement because I agree — it’s a very useful feature! Sorry for the trouble this is causing. Stay tuned! I hope I can find an alternative that does the same thing! To me a signing bonus should not exceed a reasonable ratio of the salary. Median Range for experienced data scientists is 165 to 250 according to U of Wisconsin so is 25% of the base reasonable? What is the normal ratio? A data scientist should be able to figure this out. And just when did the job title of “data scientist” come into being? I suspect that’s something new within the last 1-2 years. It doesn’t relate or refer to an actual profession or credentials, but to some people trying to make themselves sound more important than they really are. It’s an ad hominem. If somebody tells me they’re a data “scientist” I’ll tell them their a pretentious POS. What used to be called analysis, done by analysts and many others, came to be called analytics, because that sounds cooler and is more pretentious, even it involved nothing new or different. I challenge anyone to tell me how “analytics” is different than analysis without using a bunch of superlative adjectives and claims of results. I see a trend in this claptrap of co-opting a fancier name for ones work or profession. The best example of this is the silly use of the word “talent.” Talent was a valid word when it pertained to the arts and related fields. It made sense to say that somebody was a talented actor, musician, painter, sculptor, archictect, writer, etc. And thus we had “talent” agents who acted as brokers between the likes of Cary Grant and RKO. Now people use the word “talent” in reference to anything and any line of work. And it’s because the HR scum, who have no credentials for hiring anybody other than other HR scum, wanted to elevate their status once they had seized control of the hiring and promotion processes. Hiring and “recruiting” wasn’t cool or big enough for them; they wanted to be Hollywood talent agents and talent scouts. Talent sounds so much more important, doesn’t it? My brother is (or was) an architect. And by that I mean an architect who had an education in designing and building structures, obtained a license, and carried on with that work. At one point, after he had closed his private practice and was looking for work on the I-net for new jobs, he quickly learned that the word “architect” has been co-opted by the IT profession. I don’t know what the eff a “data architect” or “systems architect” is, but why did these a-holes have to steal–STEAL–a legitimate word like architect to make themselves feel more important? But you’ve nailed a problem: Many jobs are cloaked in marketing mantles that seem designed to compensate for skill levels not quite suited to salaries adequate for the purchase of BMWs or, perhaps, Lambos. And, yes, without HR executives (who work in Personnel) blessing these self-aggrandizing job titles, where would everyone’s egos be?? A $50K bonus – never mind invested with a return – averaged out over 50 years makes that $1000. This could be greed. It could also just be someone who loves to dicker. But as someone pointed out, is this really the hill you want to die on?